William Jerry Callis, 76, passed away on December 5, 2018. Born February 16, 1942, in Lunenburg County, Virginia, he worked on the farm, attended Lochleven School, and was an active member of Antioch United Methodist Church in his youth. He learned the value of hard work, honesty, self-discipline, and humility, all virtues that he would exhibit throughout his life. He graduated from Kenbridge High School in 1960, and attended Virginia Polytechnic Institute and State University as a member of the Corp of Cadets, graduating in 1964. He was honored to serve his country in the United States Army Corps of Engineers at New Cumberland Army Depot in Pennsylvania. After honorable discharge, he returned to Kenbridge and embarked on a successful career at Kenbridge Construction Company in 1967. He was instrumental in the development of many real estate, leasing, and construction concerns during his career. Active in his community, he was involved with numerous organizations. He served on the Central Fidelity Bank Advisory board, was a charter member of the Kenbridge Rescue Squad, and served on the Virginia Health Systems Agency. He served on the board of directors of the Lunenburg-Nottoway Educational Foundation for many years and was chairman for eight years. He served as chairman of the trustees of Kenbridge United Methodist Church where he was a member for over 60 years. An avid Virginia Tech fan, he served on the board of directors of the Virginia Tech Athletic Fund and volunteered as a Hokie Representative for many years. 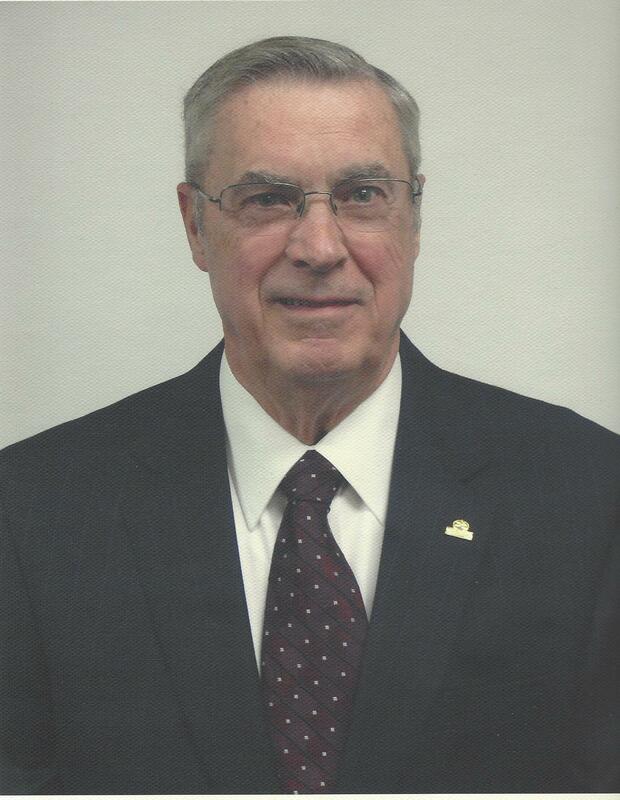 He served on the board of directors of Benchmark Community Bank for 23 years and was chairman for six years. Although he enjoyed great business success, Jerry will be remembered by those who knew him best as a humble servant. His was a life of service, and he experienced his greatest happiness and satisfaction by working hard and giving to others. He exhibited pride only in the accomplishments of his children and grandchildren. He was predeceased by his parents, Richard Elroy Callis and Sarah Agnes Moore Callis, and a brother, Kenneth Dwight Callis. Left to cherish his memory are his wife of 54 years, Elizabeth Penn (Penny) Blackburn Callis, daughter Kristin Elizabeth Callis Hodges, son-in-law Emory Melvin Hodges, granddaughter Mary Elizabeth (Lizzie) Hodges, grandson Samuel Emory Hodges, brother Richard Earl Callis and his wife Barbara, sister Arlene Callis Wengert and her husband Tom, sister Elaine Callis Pearce and her husband Charlie, numerous brothers-in-law and sisters-in-law, and many nieces and nephews. The family will receive friends at the home. A graveside funeral service will take place on Saturday, December 8, 2018, at 2:00p.m. in the Kenbridge Heights Cemetery, Kenbridge, VA, followed by visitation and refreshments in Kenbridge United Methodist Church fellowship hall. In lieu of flowers, memorial contributions may be made to Kenbridge United Methodist Church, P. O. Box 926, Kenbridge, VA 23944, or to Kenston Forest School, 75 Ridge Road, Blackstone, VA 23824.